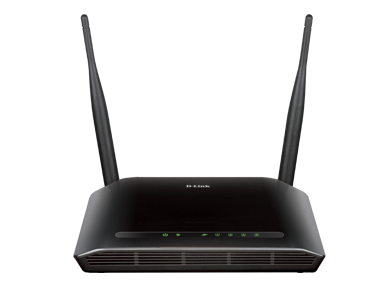 The D-Link DIR-615 Wireless N Router provides better wireless signals for your network than existing wireless 802.11g technology. Upgrading your home to Wireless N provides an excellent solution for sharing an Internet connection and files such as video, music, photos, and documents. D-Link Wireless N products use Intelligent Antenna technology to transmit multiple streams of data which enable you to receive wireless signals in the farthest corners of your home. Not only does D-Link’s Wireless N technology extend your wireless range, it also works with your existing 802.11g and 802.11b wireless devices. The D-Link Quick Router Setup utility quickly configures your new Wireless N Router to get you up and running in minutes. Our D-Link Quick Router Setup walks you step by step through the installation process to configure your Internet connection, wireless network settings and security, and everything else you need to get your network up and running so that you don’t have to be a networking expert to get it set up. The DIR-615 supports the latest wireless security features to help prevent unauthorized access, be it from over a wireless network or from the Internet. Supportfor WEP, WPA and WPA2 standards ensure that you will be able to use the best possible encryption, regardless of your client devices. In addition, this Wireless N Router utilizes dual active firewalls (SPI and NAT) to prevent potential attacks fromacross the Internet. 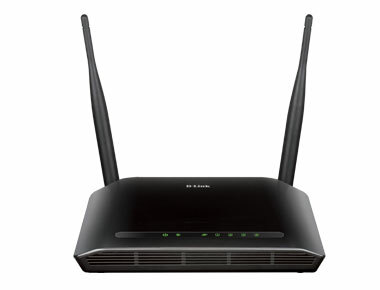 Delivering great wireless performance, network security and coverage, the D-Link DIR-615 Wireless N Router is ideal for upgrading your existing wireless home network. When used with hard drives, D-Links award-winning DNS-323 backs up your files and allows you to access them from virtually anywhere over the Internet. You should always have a backup."